You will begin your tour to Iguazú departing by plane from Buenos Aires airport. Once you land in Iguazu a tourist guide from 01argentina will be waiting for you with a sign with your last name to transfer you to your Hotel and giving you the exact pickup time for each activity. After doing the check in at the hotel our tour guide will pick you up in your hotel in order to take the Iguazú Forest Tour. Canopying: Moving between various platforms in the treetops, the person slips from one tree to another subject of a harness to the ends of steel spotting the incredible vegetation from the heights. It develops in a variable between 15 and 25 meters high with a distance of 800 meters long. Trekking in the forest: It is done on trails in the forest, and it will allow you to recognize different species of flora (strangling trees, parasitic plants, orchids and palm trees among others) and fauna. The trail has a distance of 900 meters. Rappel: Live the incredible experience of descending the rocks in the middle of a waterfall of 15 meters (during summer) or rappelling in a dry wall (In winter), permanently assisted by specialized instructors. Restrictions: The activities are restricted to children under 6 years inclusive, pregnant women and people with physical disabilities. 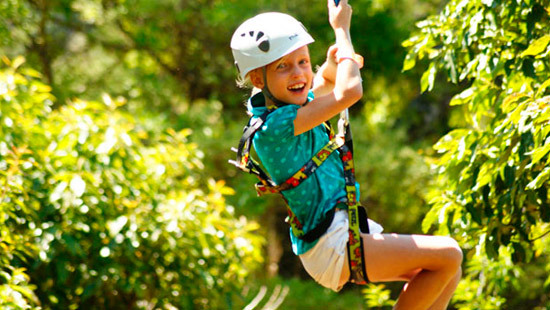 It is a special program to discover a new concept of Eco-tourism and adventure tourism, offering multiple activities to live them in direct contact with nature. This tour is also very useful because it avoids getting a visa to enter Brazil since you are taking both tours on the Argentine side. 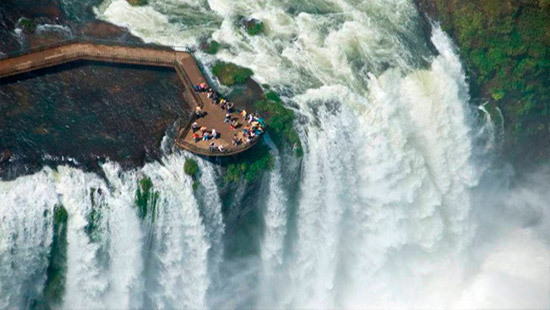 After breakfast, you will leave for a full day excursion to the Argentine side of Iguazu Falls. You will be guided around several paths inside the National Park to witness the incredible view of the more than 200 falls, visiting the Green Way, the Upper and Lower Catwalk and the Devil's throat paths using the forest train. 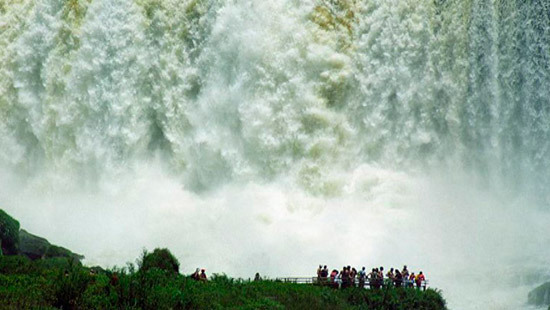 The Devil's Throat is considered by many tourists as the best natural attraction of Iguazu National Park, and one of the unmissable excursions to truly know the famous Falls. The upper circuit will allow you to walk literally over the river and the jungle, and get visual and incredible panoramic views. 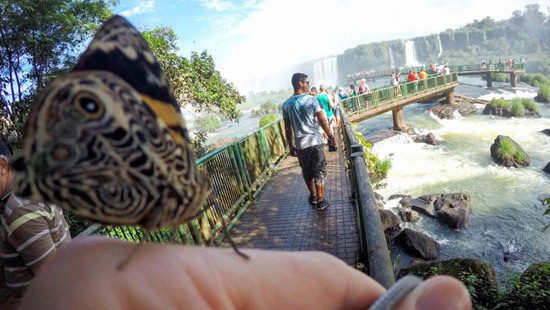 Finally the the lower circuit which is a system of walkways and stairs, will allow you to approach the Iguazu River through a well signposted path that runs several waterfalls. This trial will show you different and amazing panoramic views including the island of St. Martin, and the countless number of boats of intrepid passengers looking to cool off in the spray water from these giant falls that reach 80 meters high. 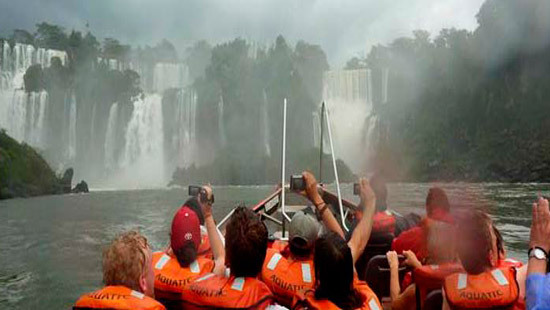 The Great Adventure boat ride is an optional tour inside the Iguazu falls National Park which takes you for a ride around the falls, the boat even remains underneath an Iguazu fall. At the end of the tour we will drop you off in the lobby of your hotel. Breakfast. And at schedule time transfer to the airport in the afternoon. Return to Buenos Aires by plane. Flights Buenos Aires - Puerto Iguazu - Buenos Aires. Transfers in - out Airport- Hotel in Puerto Iguazu. Tour to the Argentine side of the waterfalls. 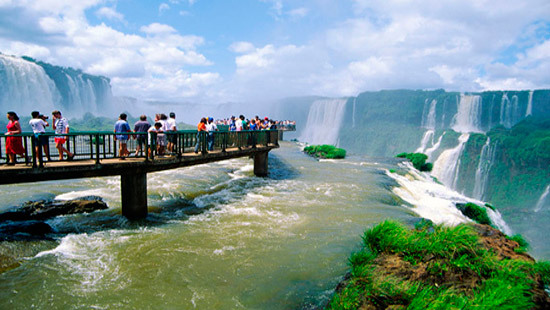 Visit Iguazu Falls and take a Iguazu Tour including the Argentine side of the waterfalls and National Park where No Visa is Necessary enjoy the Iguassu falls without paying the high fee of getting Brazilian visa because our expert travel agents will help you to organize a good travel package to this main tourist destination of Argentina so that you can spend a great vacation there, please send us your request and we will provide you soon with a quote.